All types of artists come to the runway to showcase their functional, and not so functional, pieces of wearable art. 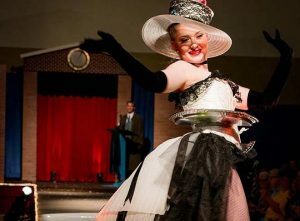 Each year the Wearable Art Show has a theme. Artists are encouraged to create their pieces in line with this theme, but they are not required to do so. All pieces are unique, one-of-a-kind, creations for the show. 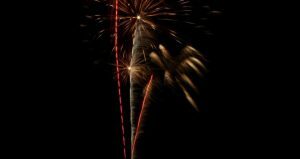 The 2019 Grays Harbor Festival of Colors starts with a night fly for those who arrive Friday. 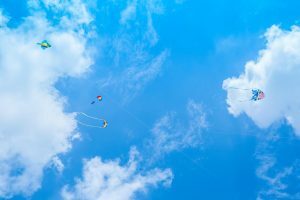 Everyone from novice to professional kite flyers will line the beaches of Ocean Shores to have fun, show off unique kites, and flying skills. 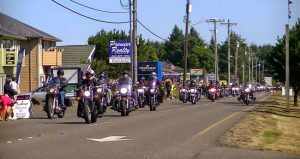 Popular locations are the State Route 115/Damon Road beach access road by the main entrance to Ocean Shores and the Chance A La Mer beach access road by the Shilo Inn. 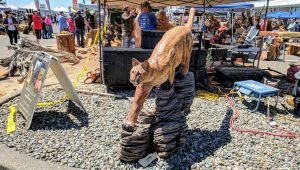 This popular annual event includes several chainsaw wood carvers and some sand sculptors as well as at the Ocean Shores Convention Center. Dozens of chainsaw carvers from around the world showcase their work. Each artist will create chainsaw carvings during the festival, with live auctions every day. Watch the artists at work, then purchase your favorite creations at the auctions. Dogs and their humans are invited to celebrate their talents, play games and sporting events, and participate in an auction. This annual event is Western Washington's largest arts and crafts fair. Dozens of artists and craftspeople will be showcasing their handmade items.